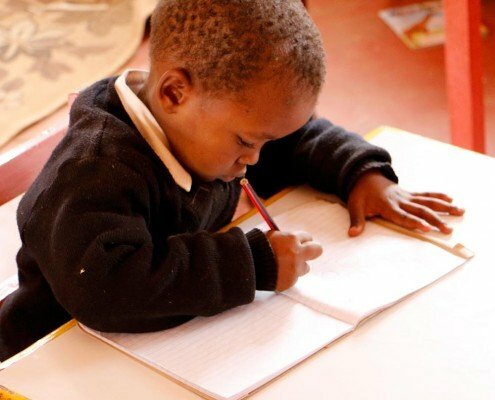 The long-term strategic goal of Just One Africa is to empower local leaders who care for vulnerable children within their community with sustainable solutions. These solutions provide long term access to clean and safe water, quality education, life skills training, adequate safe housing, and more efficient agricultural methods. These continuing viable solutions will reduce the reliance on outside sources of funding, and furnish them the means and ability to provide for themselves, as well as those they care for. We have found it paramount to work closely with our local leaders by investing in who they are, and building deep relationships with them based on trust and respect. We take a great deal of time to listen and ask questions to determine what they desire to see happen in their communities. It is from that input that we move forward creating sustainable solutions that will be managed, constructed, and maintained locally. Valley Light Home is the dream realized and long term commitment of a couple, each born and raised in Kenya. After years of planning and careful strategy, Valley Light Home opened its doors to take in 6 children in August 2011, the youngest little one a child of 6 weeks. 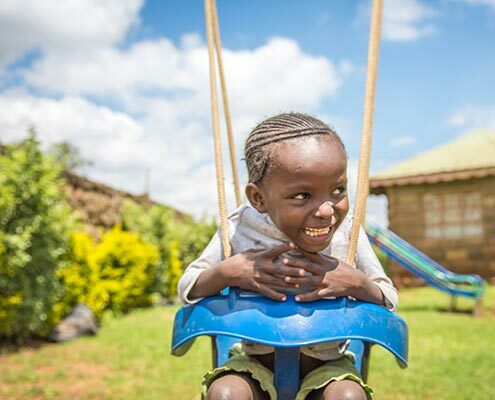 The mission is to provide holistic care to children who have been orphaned or abandoned, or from families who are not able to look after them. To date, VLH houses 27 children. Valley Light Home was carefully constructed to be a home rather than an institution for up to 36 children (infants to 18 years of age). The project is managed by a local staff, including a full-time social worker. House parents live at the home full-time where family life includes providing professional care and guidance for physical, emotional, educational, and spiritual needs. 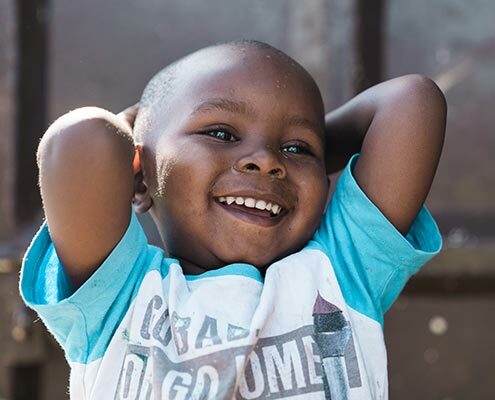 As some of the children placed here are HIV+, caregivers are trained to administer medication, monitor nutrition, and care for individual health needs. John is a member of the speaking team at Ravi Zacharias International Ministries. He speaks frequently on university campuses, leadership forums, conferences, and churches around the world. John and Leah both have PhDs. John has his in Philosophy and Leah has hers in Education. 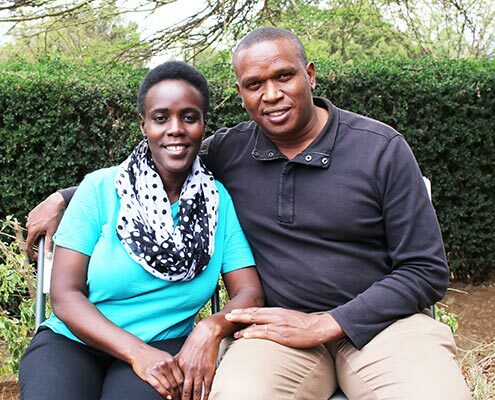 John and Dorcus Parit are the founders of Lenkai Christian School based in the Kimana area of south eastern Kenya. This is a private Christian school with over 250 students ranging from Baby Class (Pre-School) to Class 8 (or 8th grade). 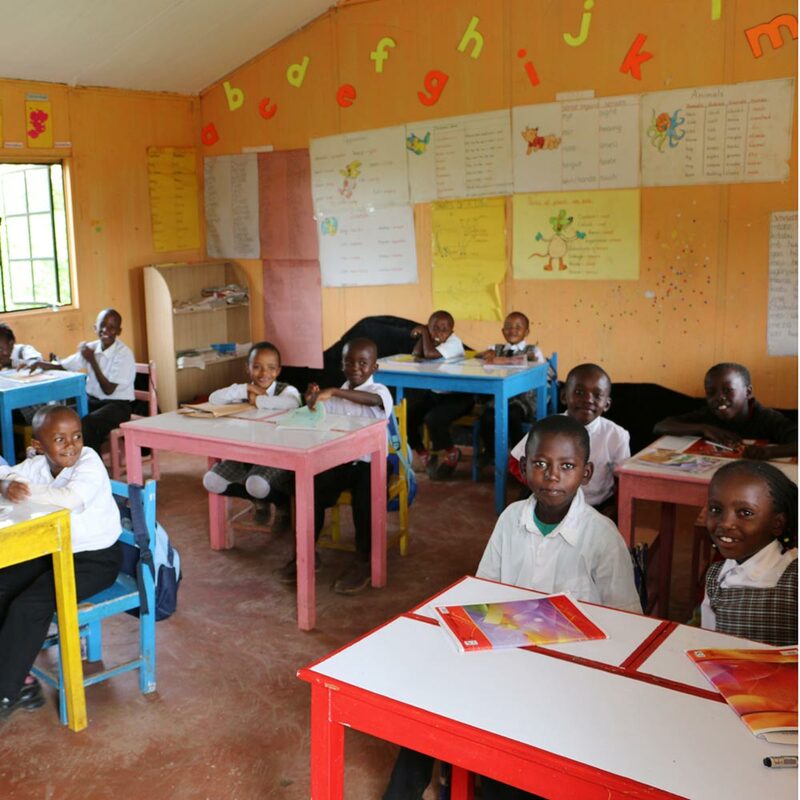 Their vision is to offer a holistic education to local Kenyan children, to equip them with the best possible education, and to develop their individual potential while molding them into future leaders. 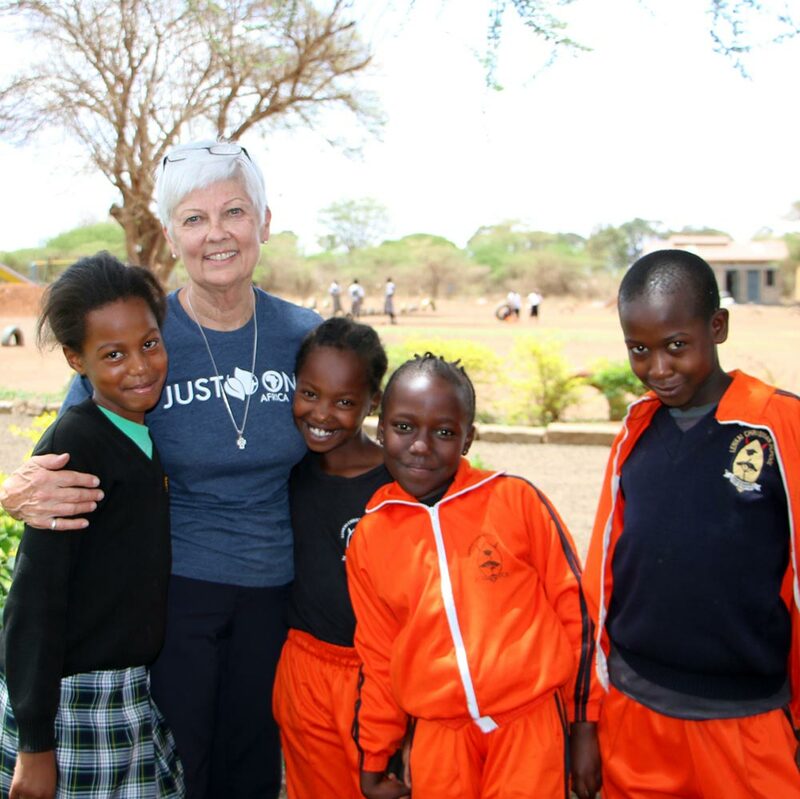 They are also the founders of Hope Beyond Transitional Center which cares for children from needy cases such as FGM, child marriage, child neglect, forced labor, human trafficking, and other abusive realities. 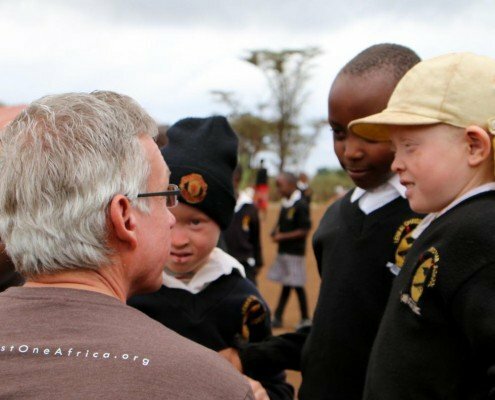 The Center also offers non-residential support to orphans and other needy cases such as Albinism, within the neighboring community. Hope Beyond provides trauma therapy and counseling for these precous children. 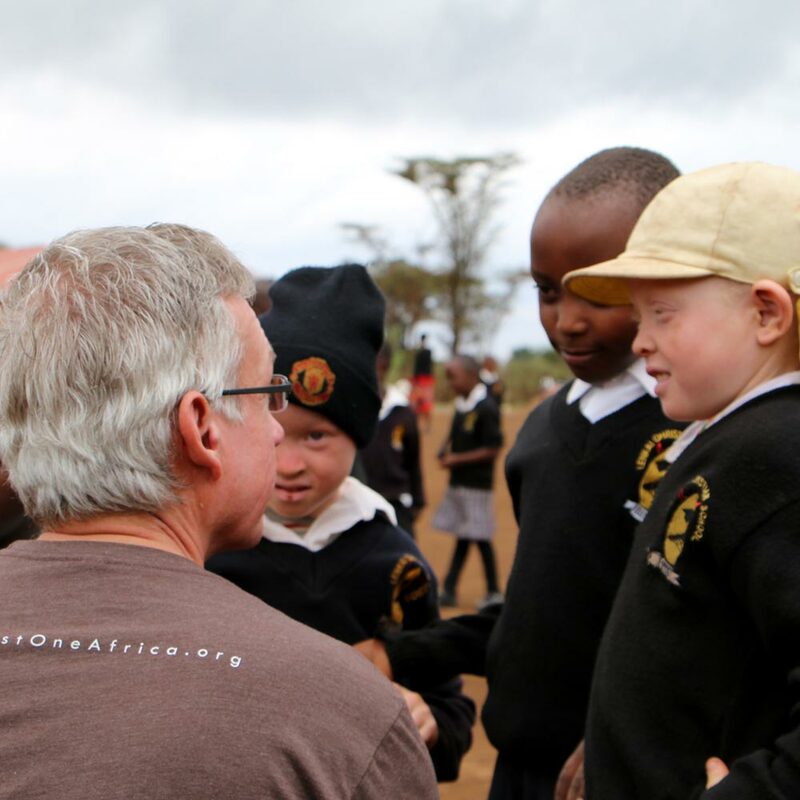 John is the African Director of The Olive Branch Mission, a US and Kenyan registered nonprofit with diverse projects in Kenya, including the world famous conservation program at Sidai Oleng Conservancy. This conservancy offers a wide spectrum of conservation of wildlife, water, and indigenous species of plants within a 7,000 acre conservation area managed by The Olive Branch. John is currently finalizing his dissertation for his Master’s Degree in International Management through the University of Liverpool. 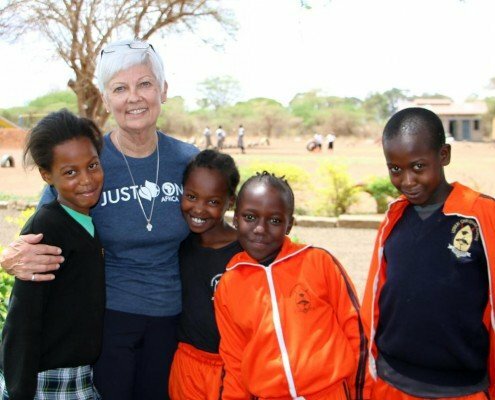 Dorcus is the Volunteer Coordinator of the Water Filter Project by Just One Africa which involves training and distribution of the filters to communities. The Water Filter Program has seen distribution of over 1,000 water filters to various communities within a 150 kilometer radius from the school with tremendous success and great impact. Dorcus is also an active leader within the local and national stage where she is serving with the Local Peace Committee. She is the Kajiado County Treasurer of the National Women Organization, and sits on other local and national committees involved in fighting for the rights of women and children while advocating against FGM and other forms of child abuse. She is also passionate about empower women and providing many sustainability opportunities for them. Together they have 6 amazing children, 3 girls and 3 boys. 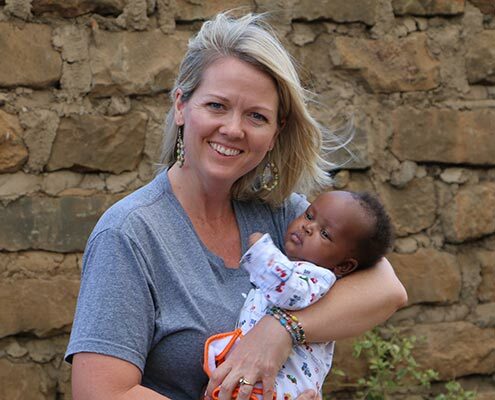 Valley Light Home is a faith based, non-profit organization that provides residential care for orphans and abandoned children in a home or family setting. VLH is committed to breaking the cycle of poverty that leaves children without proper care while meeting the emotional, medical, educational and social needs of the whole child. 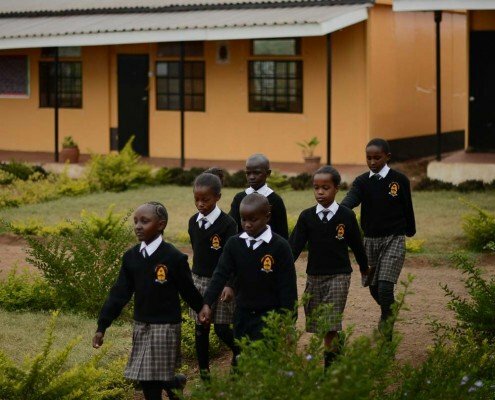 The home was started by John and Leah Njoroge in response to the overwhelming need to care for children within Maai Mahiu and surrounding areas. 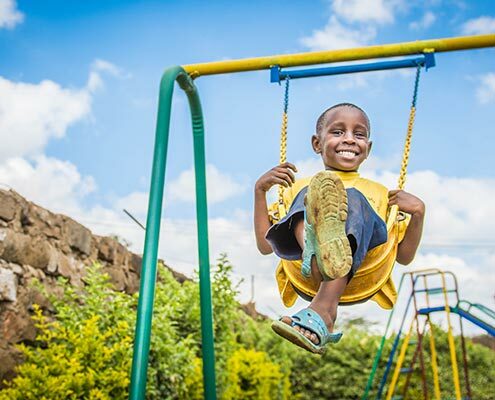 The home opened its doors on July 31, 2011 when six orphaned children stepped through the gate of Valley Light Home to be welcomed by the Njoroges and a group of loving and dedicated staff. As of July 24, 2018, Valley Light is home to 31 children. 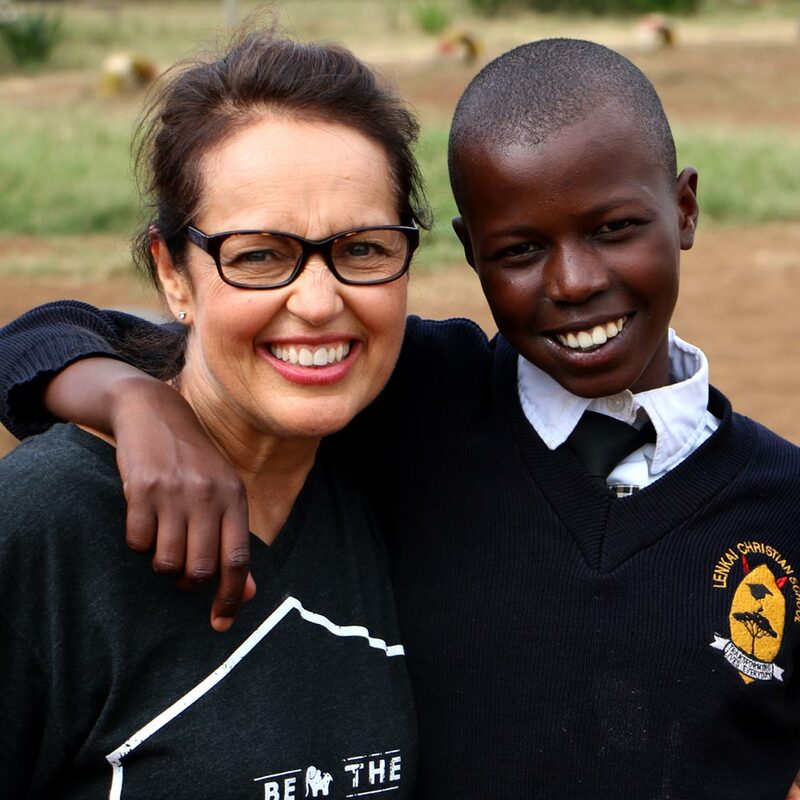 The town of Maai Mahiu lies at the bottom of the beautiful Rift Valley along a major route that connects the coast of Kenya (by the Indian ocean) with many countries in Eastern and Central Africa. It is approximately an hour and a half northwest of Nairobi. Over time, Maai Mahiu has developed into a popular trading center that is a prominent stopping place for truckers and other weary travelers. Due to its warm weather, easy access and relative proximity to Nairobi, Naivasha and Narok — not to mention the fact it is along the way to the world famous Maasai Mara Game Reserve — Maai Mahiu’s population continues to increase almost on a daily basis. Unfortunately, one of the reasons for the town’s popularity with truckers is due to the high rate of prostitution. Prostitution, which continues to increase, is the greatest contributor to the high number of orphaned and abandoned children in the area. lt is one of the reasons why moving Valley Light from the center of Maai Mahiu is a key objective of Valley Light Projects, as we will see below. We are determined to prevent our children from repeating the cycle of prostitution and poverty and that made them orphans in the first place. Valley Light is registered as an NGO (Non-Governmental Organization) with the NGO board of Kenya. We are registered as Valley Light Projects — which is the umbrella organization for all of our ministry activities in Kenya. Valley Light Home is one of the ministries of valley Light Projects. There is the possibility that we will change the nature of our registration in the future to better fulfill our mission and objectives. 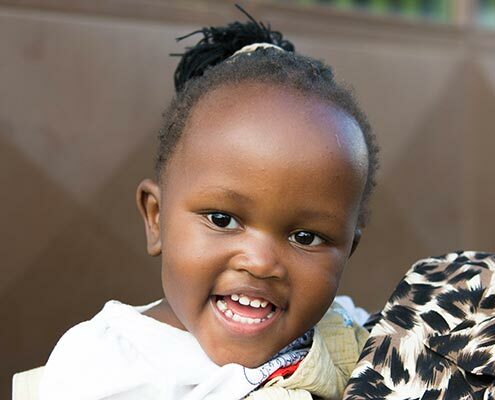 The purpose of Valley Light Home is to cater for the needs of orphans and impoverished children who are languished by disease and poverty in the town of Maai-Mahiu, Kenya. Our goal is to restore the emotional and physical wellbeing of children through an array of services in a loving and nurturing environment. Our vision is to nurture deprived children through the love of God. 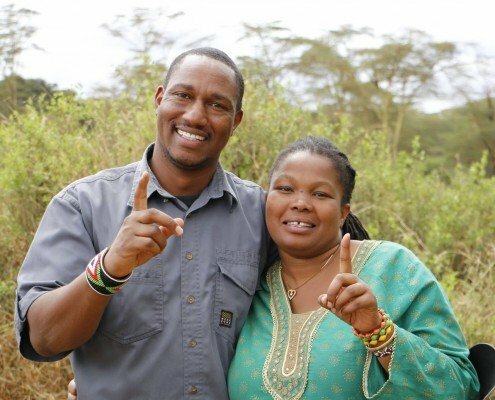 John and Dorcus Parit are the founders of Lenkai Christian School, situated in the heart of Maasai Land at the base of Mt. Kilimanjaro in southern Kenya. 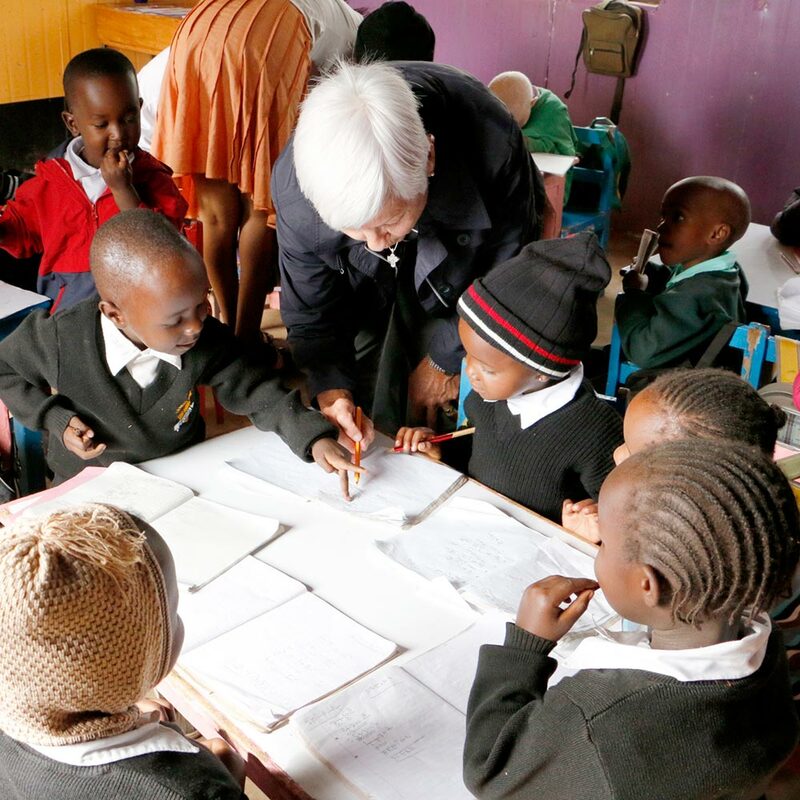 Lenkai is a school that was founded under a strong Christian foundation in 2013. 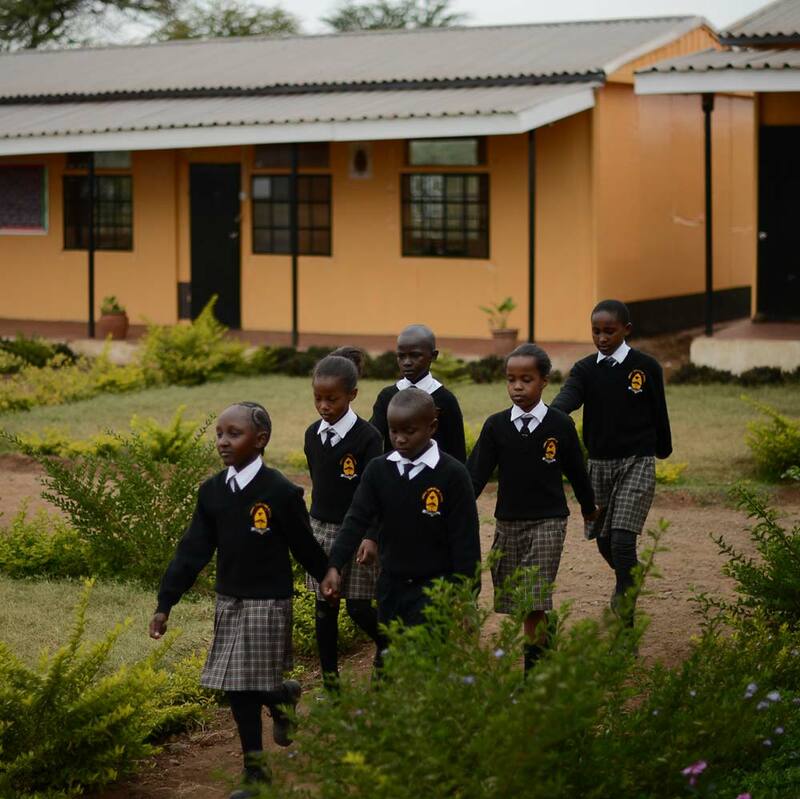 It has offered educational services to the local Maasai people with the aim of transforming the lives of the community surrounding the school. The school is committed to offering high quality education. The school is at its capacity with 250 students ranging from baby class to grade 8. They continue to add a new grade level each year. 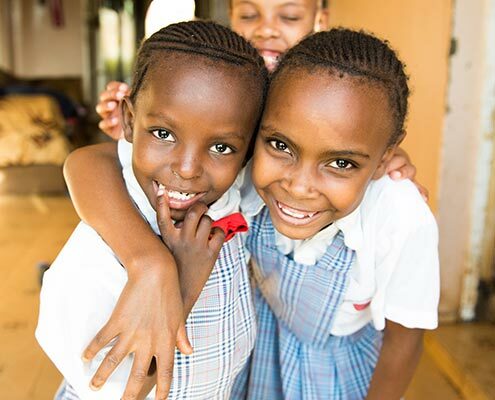 The Parits also run the Lenkai Rescue Center caring for over 50 children who have been exposed to early marriage, female genital mutilation (FGM,) and others whose parents were unable to offer parental care from the Maasai community. In 2015, Just One Africa partnered with Lenkai to build a large multi-purpose building used for dining, musical productions, and community development seminars. It can also be rented out, bringing additional income to the school to cover other expenses. 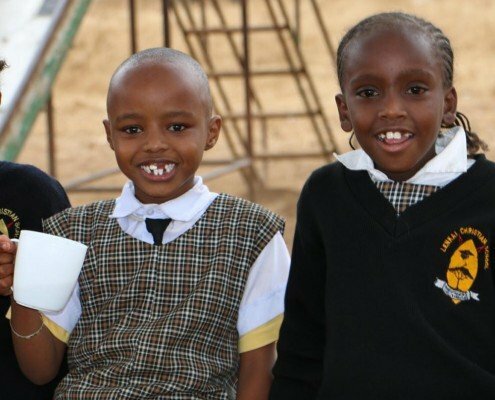 Just One Africa has also partnered with Lenkai to build a kitchen for the school lunch program and to prepare the meals for the rescue center. Another goal of the kitchen was to launch a bakery, which will bake bread for the students and rescue center children, to provide additional loaves to be sold for sustainable income for the school, and to provide jobs for a few local workers. One of the most recent, exciting initiatives is the drilling of a borehole as a reliable water source for them to use in agriculture, instituting other income generating activities and giving clean water to the students and kitchen for food preparation. This borehole will be a catalyst for bringing sustainability to Lenkai for years to come! 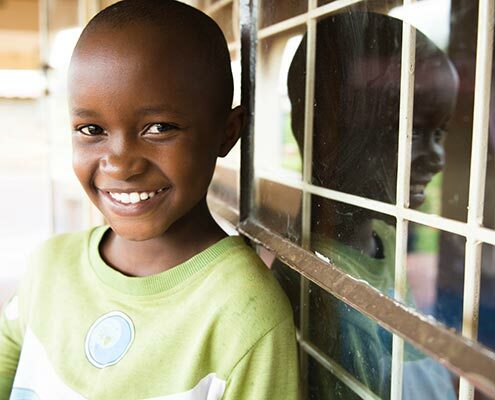 VISION: To be the center of excellence in providing quality education that ensures holistic development of each child. MISSION: We are committed to providing the best possible Godly atmosphere conducive for learning growth and development of each child unto their full potential. PHILOSOPHY: Train up a child in the way he should go and when he or she is old he or she will never depart from it. The very smart Lenkai students starting the day with a march to the flag pole before reciting the pledge. 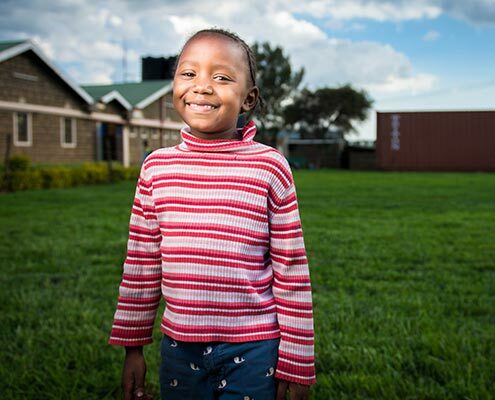 In late 2014, a building project with Lenkai was fully funded and construction began. The goal was to build a large meeting room for the students to use as an assembly hall, dining area, recital hall, and community outreach for development and education. The 40’x70′ building was completed in early 2015. It was constructed with a cement floor, tin siding and roof, and stage for assemblies and productions. This will benefit the school’s music program as it gives the children a place to produce and put on concerts for their parents and the community. As this is one of the largest buildings in the area, it will be rented out as a community building for meetings, training, and weddings. This rent will provide a sustainable income for the school. In 2013, Dorcus asked us for some instruments for a music program they wanted to launch. Upon hearing the need for instruments Katelyn Churchill, a graduating 5th grader in the US collected over 100 recorders from several schools in her area. Many music books and teaching charts were also donated. Within weeks of receiving the recorders, the children at Lenkai were performing a small concert. Lenkai has a music instructor that comes down from Nairobi on a weekly basis. All the students in the school have received blank staff books to learn how to read and write music. The growing music program now includes keyboards, drums, guitars, violins, and dozens of finger pianos, as well as all the original recorders. 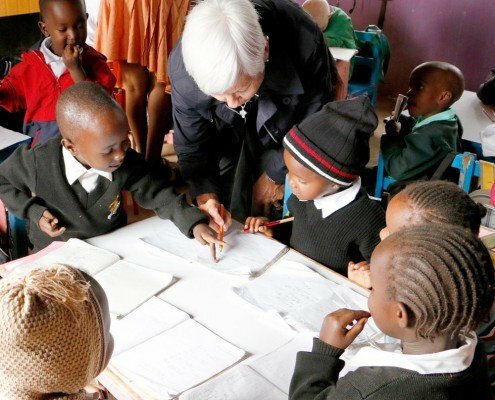 These children will benefit additionally when they apply to a university. 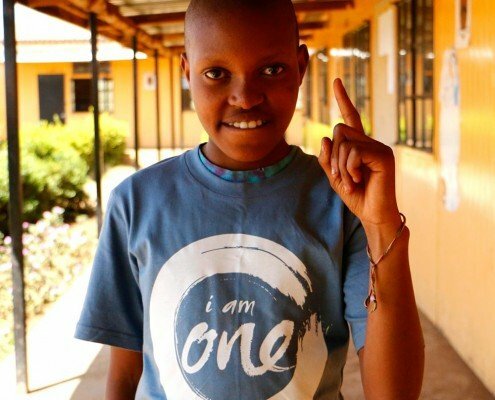 The vast majority of schools in Kenya do not teach music so these children will be sought after by the universities, with many of them receiving scholarships. Dorcus shared that they have seen many of the Rescue Center children responding very well to the program. This has increased their self-esteem and has, in-turn, helped them with their studies. Music has become a great therapy for the trauma these young lives have encountered and continues to bring healing. In August of 2015, one of the older girls who has dedicated herself to practicing the violin has excelled tremendously. She entered and won a district completion. She then moved onto regional and won that too. This was the first time anyone from the southern area has competed and won with a violin. She moved onto the national competition and won 4th in the nation!!! We are SO very proud of her and her dedication to learning a very difficult instrument! In September she was invited to play at a ceremony that the First Lady of Kenya was attending to unveil a women’s community initiative. What an honor for her and the entire Lenkai School! And to think it was started by a 5th grade student who did what she could with what she had access to. Just a drop in the lake, but the ripples will be surely felt for years to come. Dorcus is a very outspoken advocate for the girls who have been traumatized from the practice of FGM and early marriage. She is working closely with the government and other local leaders who are dedicated to engaging the community in proactive and preventative measures. 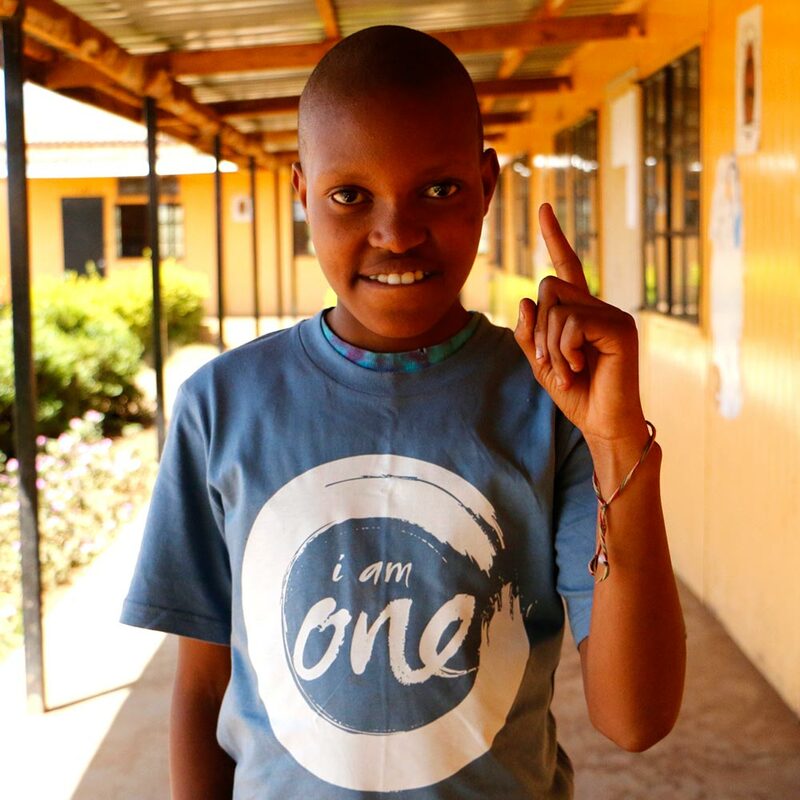 Dorcus works with the youth as well as the matriarchs of the communities to educate them on the harmful effects of FGM and to share other creative ways that celebrations can occur for the girls passage to womanhood. She is also a strong voice against early marriage and a huge proponent for girls education. This is one of the biggest needs within the Maasai community and one that prompted the opening of the Lenkai Rescue Center. Procedures can cause severe bleeding, problems urinating, and later cysts, infections, and infertility, as well as complications in childbirth and increased risk of newborn deaths. Globally, it is estimated that over 140 million girls and women have undergone some form of FGM. FGM is a violation of the human rights of girls and women. It is also against the law in Kenya. This major sustainability project is one that has been at the top of the list for John and Dorcus over the past few years. They identified it as their biggest need, one that would unlock much need resources for other areas within the school and rescue center. In the fall of 2015, Just One Africa was able to raise enough funds for the drilling of the borehole, high capacity pump, water storage tank, and a building for selling. 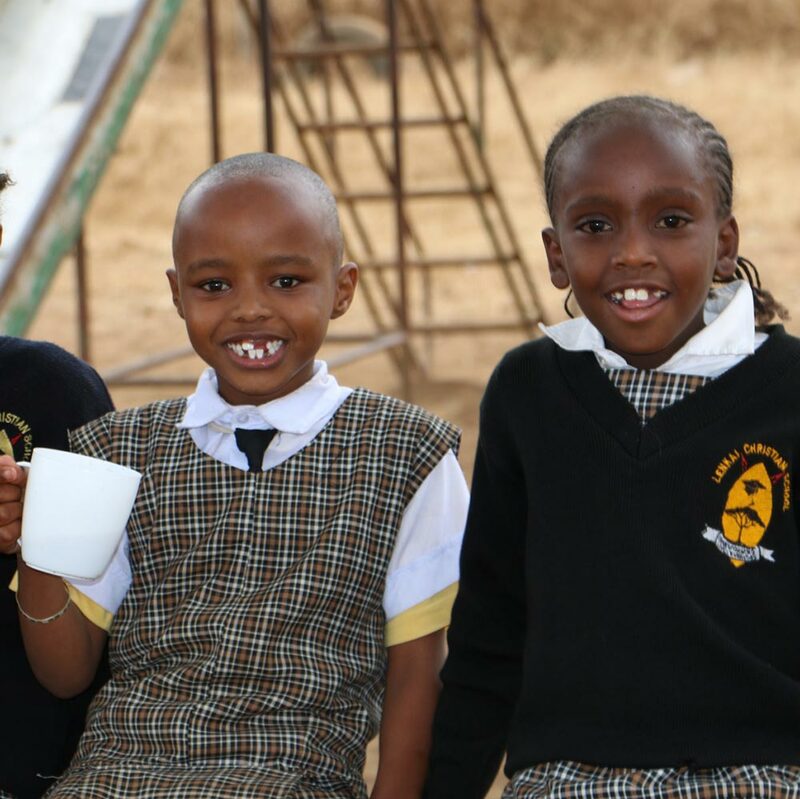 This single project will impact the school by allowing them to redirect funds they were using to buy water when the local water sources had been shut off. The borehole will open up the income-generating opportunities of selling it to others who need clean water. It will also allow for a future car wash on the edge of the school property which will bring in additional income. The water will be used in the newly constructed bakery and kitchen allowing them to keep the students well fed and healthy! The consistent water will be a huge help in the newly planted gardens that they have started allowing them to be less dependent on outside food sources that are needed to feed the kids. All in all, this has brought about a huge relief as the water supply has not always been consistent in the area, and was a growing problem and stress for the school. Thanks to the donors who helped us accomplish this very significant project, Lenkai’s future is looking more and more sustainable in the most important ways! 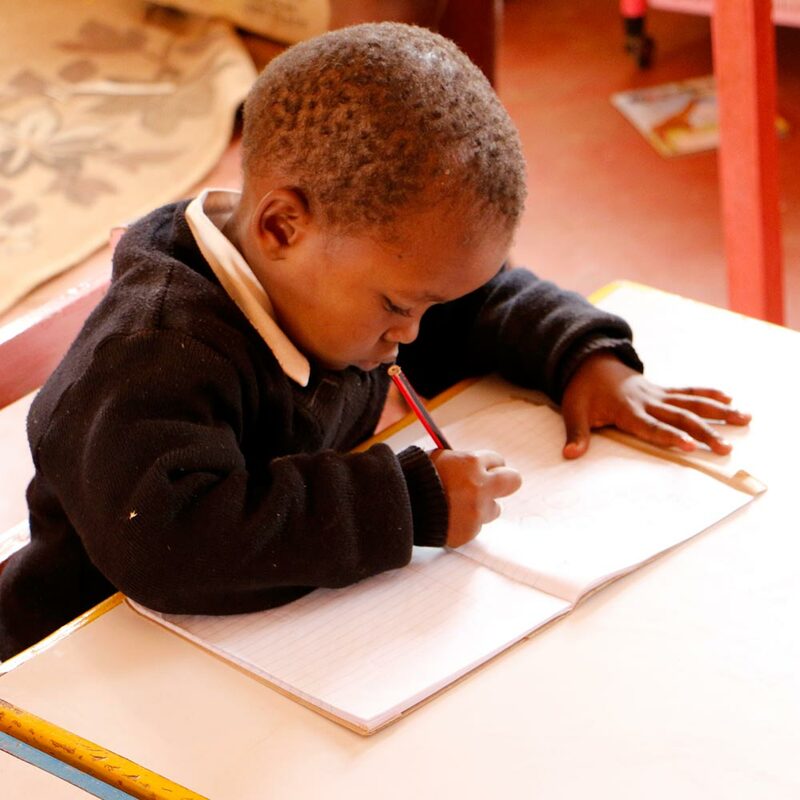 As the school has reached it’s full capacity, the ability to care for all these children needs to be increased. The original kitchen, while adequate in the beginning, needed to be expanded. 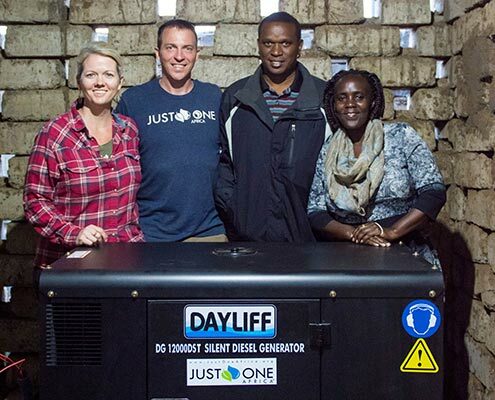 Just One Africa partnered with them to build a new and more adequate kitchen, which also doubles as a bakery. This income generating project provides the opportunity for breads, cakes, and pastries to be sold to the growing local community, supporting the school and rescue center. The crops that are growing, because of the borehole, will be used in the lunch program allowing the programs to come full circle. It will be an incredible blessing to the students as they will be able to learn with a full belly. A consistent source of income from the sales of the baked goods will allow Lenkai to establish a strong foundation. We are very grateful for the support of our donors who made this important project possible. Within the two years, Just One has been successful in increasing productivity of the orphanage farm that serves both to support the nutritional needs of the orphanage as well as source of revenue for the orphanage. They have improved the orphanage infrastructure through expansion of dorms, classrooms, improvement of sanitation facilities. When you see the structure that had no walls, no roof that served as a classroom. 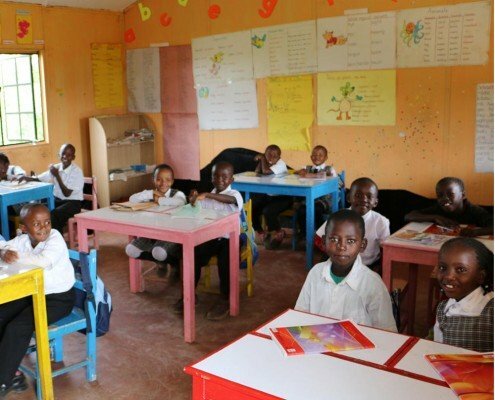 To seeing the smiling faces of those same children learning in a classroom that is a proper shelter, with black boards and teaching materials then you realize that whatever you do to support JOA truly impacts the lives of God’s very own children and this is a great honor and joy to be able to do so.